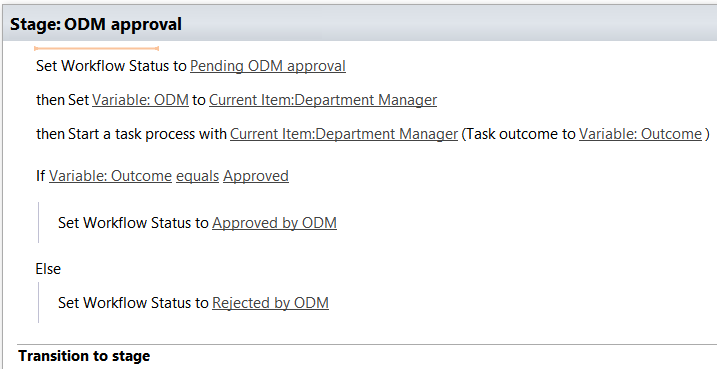 I have a workflow set in SP Designer 2013, which starts an approval process with selected people in a SP List in O365. Once a new item is added to the list it sends to the person created this item 2 autogenerated mails: - Approval has started on (item name) - Approval has completed on (item name) It does it as well all the time when item status is changed, so at the end of final approval of the new item there are plenty of useless mails in the requestor mailbox. At the same time mails are sent to selected approvers and this works fine. Is there a way to disable notifications sent back to the requestor when the request status is changed and send it only when the final approval is received? As per my test, I don’t have notification email after the status changed. You can check if you set alert for the list which send alerts to users when existing items are modified via List ribbon->Alert Me->set alert on this list. Not the answer you're looking for? Browse other questions tagged sharepoint-online list workflow sharepoint-designer-workflow or ask your own question. How can I only perform an action once on workflow that starts when an item is changed? How do I set workflow which starts when value changes? Workflow to send an email to all users who have modified a list item?